Attorney John Crawford has joined Lommen Abdo, bringing additional experience to the firm’s litigation practices and transportation law practice. John has represented clients in cases involving insurance coverage, personal injuries, wrongful death, traumatic brain injuries, premise liability, property damage, punitive damages, and bad-faith claims for over 30 years. A significant portion of his practice is representing motor carriers, commercial truck drivers, contractors, property owners, and the motoring public. Over the years, he has learned the importance of quickly responding to accidents, from speaking with clients as soon as possible in order to establish an attorney-client privilege to identifying and preserving evidence before it is lost. John has written articles and spoken to claims representatives, attorneys, defense organizations, and trucking associations on a variety of litigation and transportation topics, including how best to respond to preservation letters of plaintiffs’ attorneys, avoiding spoliation claims, preparing individuals and company representatives for depositions by plaintiffs’ attorneys using the reptile theory, and uncovering information from plaintiffs’ social media. He has also served as the Editor-in-Chief of the Minnesota Insurance Law Deskbook since 1997, for which he has written the chapter on the duty to defend. 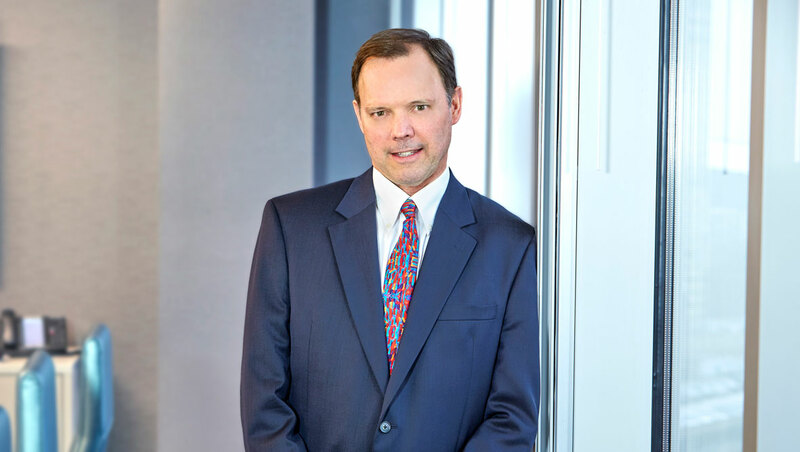 John is certified as a civil trial advocate by the National Board of Trial Advocates and as a civil trial specialist by the Minnesota State Bar Association and is licensed in state and federal courts in Minnesota and Wisconsin, and North Dakota federal court. John is excited about joining Lommen Abdo and what it means for his clients. “Joining Lommen Abdo will allow me to provide my clients with better and more cost-effective service. I will have access to a broad array of experienced litigators, support staff, and transportation lawyers, including attorneys Mike Glover, Jason Engkjer, and Lauren Nuffort. I’m confident my clients will also benefit from the firm’s state-of-the-art technology, including Electronic Litigator®, a wholly-owned subsidiary of Lommen Abdo which assists with the digital management of each phase of a litigation matter, from initial discovery through trial. John is a member of the Defense Research Institute, Claims and Litigation Management Alliance, Trucking Industry Defense Association, Transportation Lawyers Association, and Minnesota Trucking Association. An avid hockey player, John has coached youth hockey over the years, including mites (age 8 and under) girls 10 and under, girls 12 and under, and girls 14 and under. John can be reached at 612.336.9331 or jcrawford@lommen.com or view his v-card and bio. John’s practice will now have the added support of Lommen Abdo’s 26 attorneys located in two offices: Minneapolis, Minnesota and Hudson, Wisconsin. Lommen Abdo practices in a variety of areas including business, shareholder disputes, employment, real estate, family law, vaccine injury, medical malpractice and wrongful death, appeals and more. Lommen Abdo attorneys’ best credentials are our clients’ successes, but our lawyers are also recognized by their peers: 13 are AV-rated by Martindale-Hubbell, four have been selected for inclusion in The Best Lawyers in America®, eight are included in the Super Lawyers list and many have obtained certifications in trial practice and real estate. The firm has been serving clients for over 75 years.